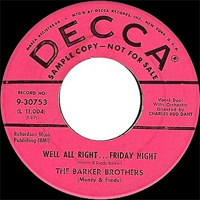 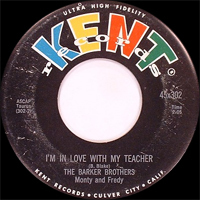 Duo Rock 'n' Roll US, les Barker Brothers comprenaient Freddy et Monty Barker. 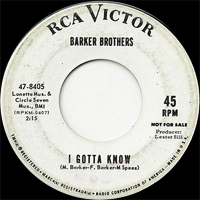 Il ont enregistré chez Kent (58), Decca (58-59), Valiant (62) et RCA (64). 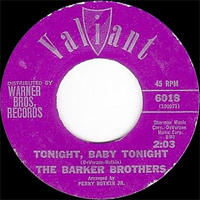 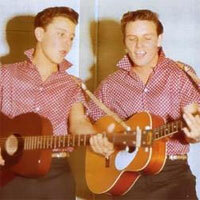 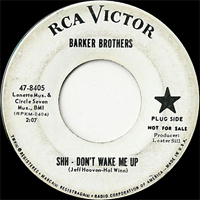 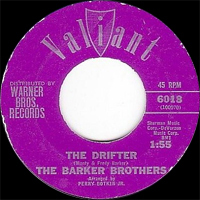 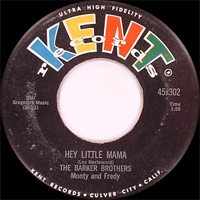 US Rock 'n' Roll duo, the Barker Brothers included Freddy and Monty Barker. 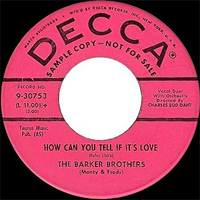 He recorded at Kent (58), Decca (58-59), Valiant (62) and RCA (64).